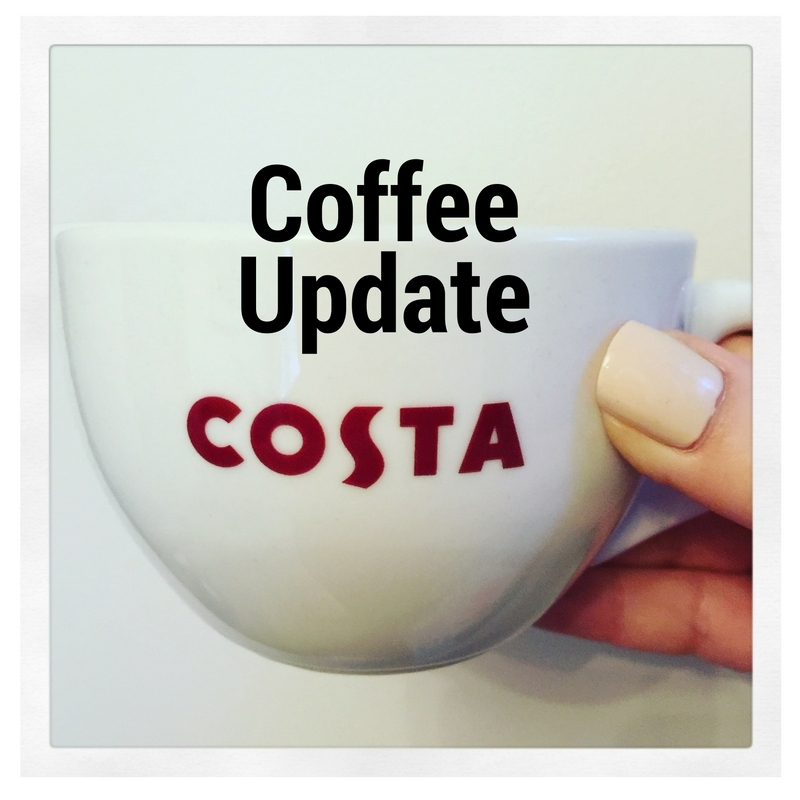 I’ve seen a few bloggers do a coffee update, where I simply chat, like we would over coffee, so thought I’d give it a go. The past two weeks have really made me appreciate the NHS. Two weeks ago I woke up at 4am with the most excruciating ear pain. At 5am I felt something weird occur in my ear. I can only liken it to wet paper ripping. Turns out it was my ear drum and was followed by a lot of fluid. I phoned 111 and had an appointment at the hospital for just a couple of hours later. I was prescribed antibiotics and ear drops but neither worked. I went to my GP who confirmed they’d not worked and took a swab but unfortunately wouldn’t give me anymore antibiotics until the results were back. The results came back 9 days after the original infection took hold and I was told it was all clear so more antibiotics weren’t needed. However by the end of the week I was back on the phone to 111 and being given another appointment as the excruciating pain returned with a vengeance. I guess the results can’t have been clear after all. I’m now on more antibiotics and thankfully feeling a whole lot better. At the weekend it was my husband’s 40th Birthday. He’s not one for a lot of fuss so we simply ate out. I bought him a flying lesson from Virgin Experience Days. He was pretty pleased with it and will be taking the lesson at Bournemouth Airport. I’m looking forward to watching. We went out to eat at Casa Brasil which is a Brazilian Rodizo restaurant at Port Solent. They bring various meats round on large skewers and it’s all you can eat. It was fabulous. 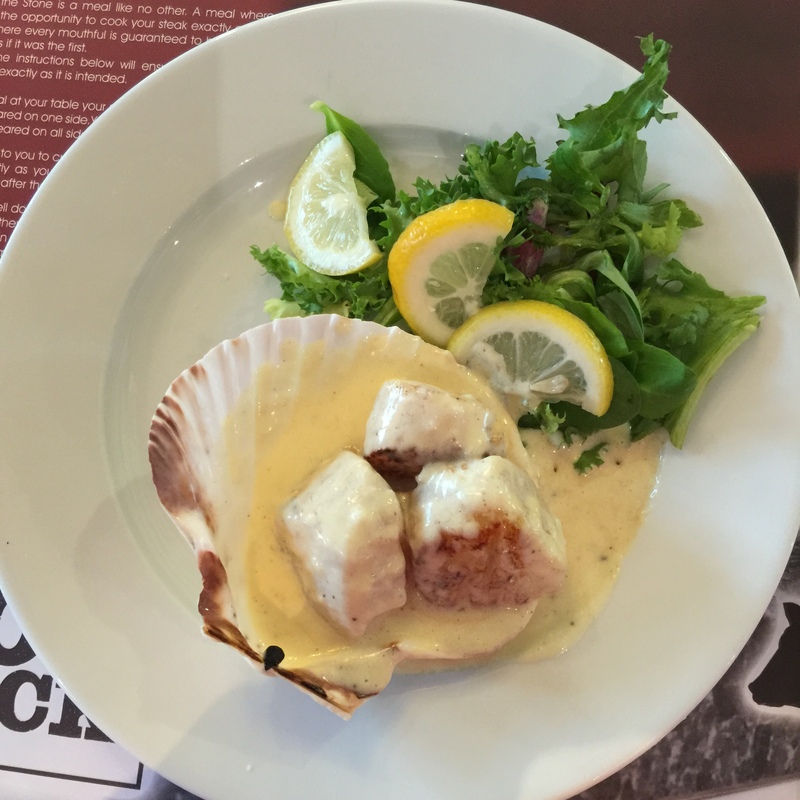 On the Saturday we went to Relentless HQ, again at Port Solent which sells Seafood, Burgers and Steaks. I had the Crostini starter which was beautiful. For main course I had the The Ultimate Surf and Turf which was a 12oz fillet steak and a whole lobster. It was divine to say the least! We were seated right beside the pudding counter and they all looked so good but unfortunately because it’s Summer and they had the doors wide open there were numerous flys buzzing around and on them! I’m now the proud owner of a car. I went and picked up my Smart ForFour last week. There’s a blog post to come on this. Just need to pass my driving test now! Summer always means saying goodbye to the children at work as they venture out to join the world of school. It’s such a sad time saying goodbye and hoping they’ll settle well in to school. I received a lovely gift from one parent and her daughter. Personalised gifts are the best. Sadly I’ve also lost my work bestie this week. She’s going to start a job in a school in September. We get along so well, I’m sad to see her go but excited that she has this new opportunity. We went to Hot Rock for her leaving do which is a Steak House with a twist. 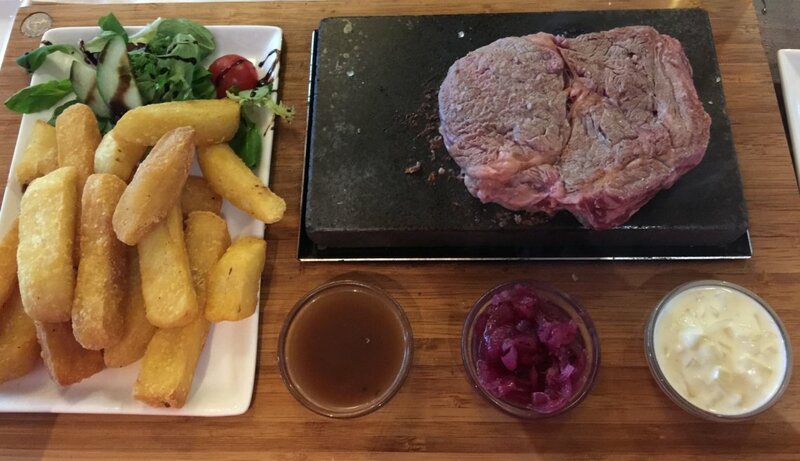 You cook the steak yourself on a hot volcanic rock. It was so much fun and really made for an experience as well as dining out. I had scallops for my starter and then the rib eye steak. It was divine and I cooked it exactly how I like it so it tasted wonderful.